Although the ESD Standard does not require ESD lab coats, they are a very practical. Some even believe, ESD lab coats represent the single most important step to demonstrate commitment to an ESD control programme. As we have learnt previously, all process essential insulators should be kept at a minimum distance of 31cm from ESD susceptible items. Clothing, particularly when made from synthetic fibres, are significant charge generators. Worse for ESD control, the fabric is an insulator so the result can be very threatening: an isolated charged insulator which cannot be grounded. 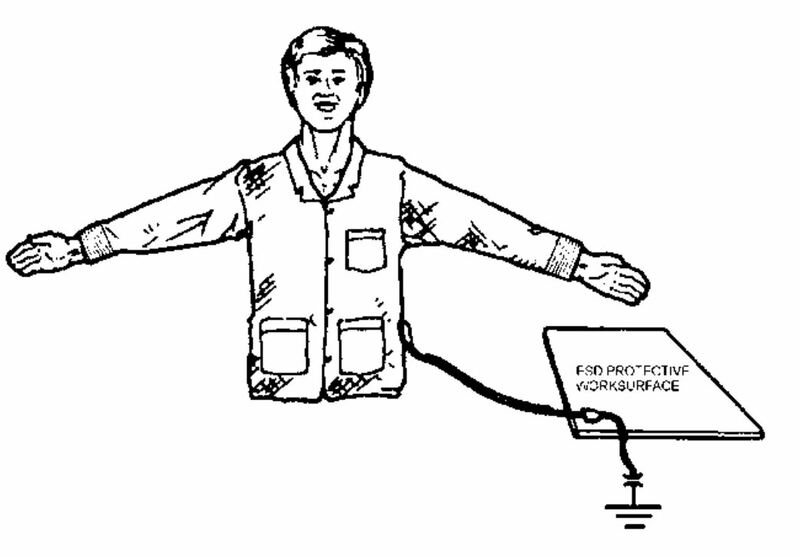 ESD lab coats are a conductor and therefore should be grounded. 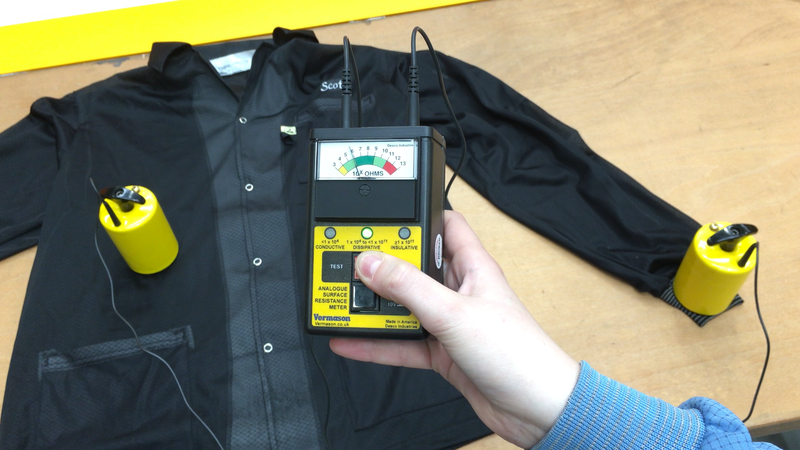 If not grounded, the ESD garment can be a potentially threatening isolated charged conductor. If an operator is wearing a lab coat but is not electrically connecting the lab coat to either their body's skin or ground, then charges on the lab coat may have nowhere to go or discharge to. Questions for you: Do you use lab coats? If so, what's the reason you started using them?